A blog about personal interests including Disney World, web content management technology, and other random thoughts. Walt Disney World Tips: Memory Maker - Worth the Money? Have you ever dreamed of having a photographer follow you around on your Walt Disney World vacation to take photos of you and your family so that everyone can be a part of your magical memories? Well, the Disney Memory Maker package isn't quite that -- but it's pretty close. What is Disney Memory Maker? ﻿﻿If you've been to Walt Disney World, you have probably seen the photographers for Disney PhotoPass around the parks. Disney PhotoPass is a free service where photographers are there to take pictures for you (using both their camera and yours) at the most popular locations throughout the parks and resorts. Once you are done posing and getting the perfect shot, they simply scan your pictures to a Disney PhotoPass card that you can then use to view and purchase the photos via the ﻿﻿﻿﻿﻿﻿﻿﻿﻿My Disney Experience website﻿. How did the good fairy get in this magic photo? The Disney PhotoPass team uses high quality equipment, knows all the best angles, and can even take "magic photos" (photos that magically add Tinkerbell, Stitch, and other characters to your photos as shown to the right) to enhance your visit. Plus, it saves you from lugging a camera around all day and can even be tied to your ﻿﻿Disney MagicBand﻿﻿. Disney PhotoPass is a great service, but anyone that's used it in the past knows that it can be a bit pricey (about $15 per photo). ﻿Therefore, Disney has introduced a new offering, the Memory Maker package. The Memory Maker package allows you to get digital copies of any Disney PhotoPass photo as well as all photos taken on the various attractions that sell ride photos, for one price. And if you buy in advance, there's a pretty good discount (sometimes it's even included in your vacation package), but you can also buy it while at the parks too. Does Disney Memory Maker Make Sense? To me, it was a no brainer. When we go to Walt Disney World, I want to capture all of our magical memories, but when either my wife or I are not in almost every photo, it takes away a little bit of the magic. Plus, while we have a decent camera, it's far from top-of-the-line, so knowing that a professional photographer using professional equipment is taking the picture, adds a lot of value. It also makes sense if you're the kind of Walt Disney World visitor that likes to buy a lot of the ride photos on Space Mountain, Splash Mountain, and the other big attractions. Because those are included in the Disney Memory Maker product, we ended up coming home with copies of multiple pictures from each of the rides. And because it was was the first time on some of the bigger rides for our youngest, knowing that we could print out those photos for her without paying $25 - $50 each was well worth it. But for me, I've saved the best part for last. Nothing makes your magical memories better than enhancing your photos with Disney graphics, borders, and more. It really does make your magical memories, even more magical! It doesn't get much more magical than this. After each of our Walt Disney World visits, I like to make each child their own photo book so that they can remember all of the magical memories from their visit. And it's worked -- because of the photo books, my children remember things they did there when they were two or three years old. But my point is that being able to add some extra magic to the photos is certain to make this year's edition the best yet. If you're not the kind of person that's going to take a bunch of pictures, Disney Memory Maker probably isn't for you. But for our visit, we had about 175 pictures taken, which works out to less than $1 per photo, so I'm pretty good with that. And because we bought it in advance, we found ourselves wanting to take more pictures, which can't be a bad thing. I think Disney got this one right and I'm confident you won't regret buying the Memory Maker package on your next visit to the Walt Disney World resort. If you like this content (and I hope you do), please connect with me on Linked In, Google Plus, or follow me on Twitter, and Subscribe to this Blog via RSS. One of the most important decisions you’re faced with when planning your Walt Disney World vacation is to decide whether to stay on or off Disney property. Having done both over the years, we’ve uncovered some Disney World tips that can help you decide which is right for you. Less of a “commitment to Disney” (many people I’ve talked to feel like if they stay on property, that’s all they should do – but with Universal Studios, Sea World and a bevy of other attractions in Orlando, staying off property allows you to feel less inclined to commit only to “the Mouse”). Dealing with the hassle of getting into and out of the parks each day. Not being able to setup your Disney Fastpass+ ahead of time. More time spent traveling -- time is your most precious resource on vacation, treasure it. People often forget about these other costs associated with staying off property, so one of my favorite Disney World tips is to calculate whether these costs make up the delta between what staying on property would cost. Obviously this varies with each scenario, but is an important consideration to keep in mind. Free transportation and luggage service (including in-room luggage delivery) to and from the airport via Disney’s Magical Express (if you’re traveling with kids, the value of this service can’t be understated). Access to Disney’s Extra Magic Hours, hours that the parks are only open for guests staying on property (another of our Disney World tips is this: while it tends to be super crowded because most people on the property feel the need to take advantage of it, the lines are still shorter than during normal hours). No driving / parking / etc., it’s all handled via the Disney Transportation System (DTS). The ability to configure FastPass+ attractions in advance (it helps guarantee you can ride the rides you want, when you want to, and don’t have to spend the first chunk of your day setting up your FastPasses). The ability to stay at some of the Disney Vacation Club (DVC) properties, which are generally very nice. More of an “all-inclusive” feel, even though it’s not technically “all-inclusive”. Generally, you are paying a premium for these benefits and depending on where you stay, those premiums will be higher or lower. the Magic Kingdom, but my brother prefers to stay near Epcot. Knowing which hotels best meet your needs and how to get from one to the next will save you a lot of time. While the Magic Hours and Transportation System are benefits, if you’re not going to use them, or find them cumbersome to use (DTS works better for certain properties), the additional cost might not make sense (another of our Disney World tips: If you can stay on the monorail, you'll have a better chance of staying on whatever schedule you've planned -- they run on a much tighter schedule that the bus system). So, which do you prefer? I don’t think you can go wrong either way, and while we prefer to stay on property now, that might change when our kids get older (their favorite park is the Magic Kingdom, but they might like the bigger rides at Hollywood Studios as they get older). I hope that this has been helpful. If you have a Disney question, I’m happy to help. Feel free to shoot me your question on Twitter (I’m @jonmkee) or via email (jonmkee at gmail dot com). Have a magical day! * - One of my favorite Disney World Tips for those with young kids is to visit one park in the morning, go back to the hotel for naps/rest during the afternoon when the parks are most crowded, then head back later. Kids don't need to ride every ride a dozen times to have a magical experience. Those that know me know that I’m a bit of a Disney nut, but never was this made more clear than on our recent trip to Disney World this April. And while I thought I knew quite a bit about how to maximize the Disney World experience, I also learned a few things. 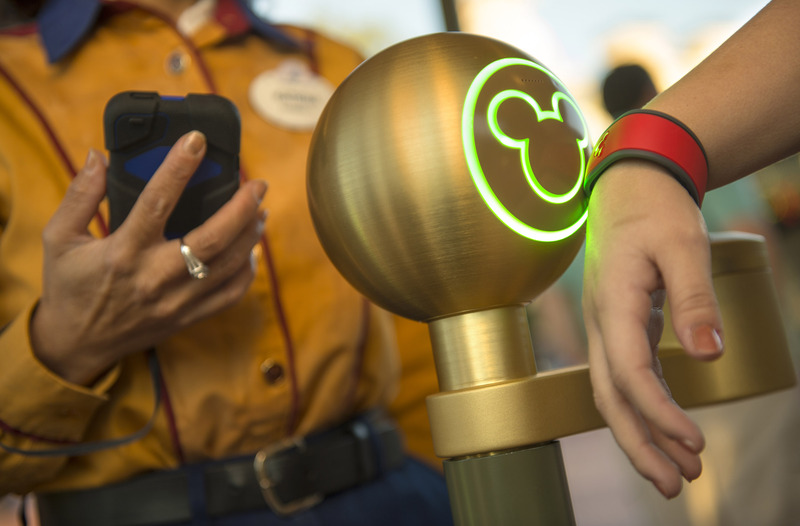 Master Fastpass+ – If you’ve done any research on Disney lately, you’re certainly familiar with the Fastpass+ technology. And while the technology continues to evolve (which will render much of what’s written here outdated soon enough), understanding which rides have the longest wait times and when, will allow you to get the most out of your visit. Rides like Splash Mountain, Space Mountain, and Big Thunder Mountain are generally the longest waits from about 10 am to 7 pm, so if you want to hit those rides, you should fastpass those during the busy times. Other popular rides like Peter Pan, Haunted Mansion and Pirates of the Caribbean offer wait times of less than 15 minutes early and late in the day, so hit them then, and save your fast passes for the big rides. Another of my favorite Disney World tips is to keep track of the various parade times because they are popular, and even sought after rides like Splash Mountain will see wait times drop significantly during those times. Plan your days efficiently – One thing that stuck out to me on our most recent trip is that being at the park between 1 pm and 5 pm is not very efficient. It’s obviously the most popular time of the day, so all of the ride times are inflated, but it’s also generally pretty hot, so you end up spending more time waiting in line and more money on water/snacks/etc… What we found was taking advantage of Disney’s transportation system, we could head back to the hotel and swim (or just relax), then head back to the parks at night when the lines were shorter (and the weather was more pleasant). For those with little ones like us, it served as a great way to keep them fresh. 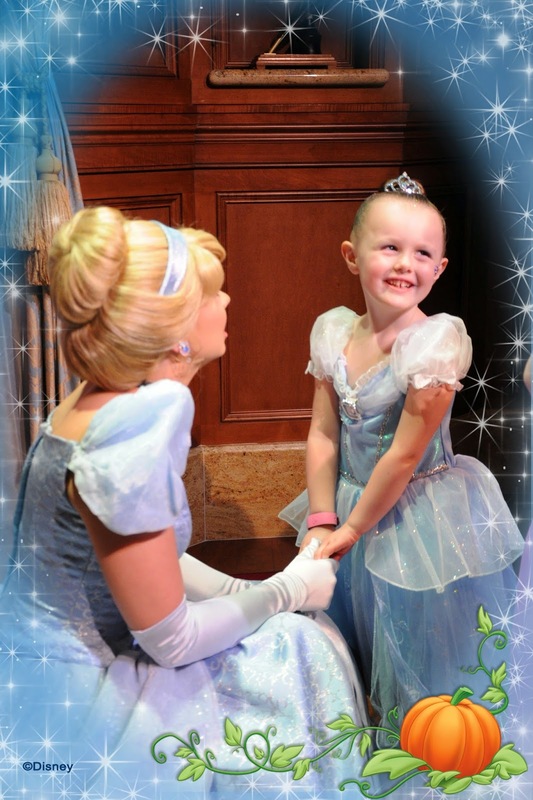 Meet the characters – Being the father of two young girls, meeting the characters (especially the Princesses) is a must, but there various ways to do this. If you can afford it, the best way is to do one of the many character meals that allows you to meet several characters at one time (all while getting a decent meal!). Though it’s a bit pricey, it does allow you to save a lot of time (which is really your most valuable commodity on vacation) versus waiting to meet each one individually, and really has an impact on the overall experience. Disney has done a great job of minimizing character wait times by allowing you to use Fastpass+ to see the more popular characters too, so even if you don't dine with them, don’t miss out on seeing Mickey, Cinderella and all the rest during your next visit. The fireworks are great, but what comes first is better – Disney World’s fireworks are among the best in the world, but for me, the Celebrate the Magic show that precedes them is even better. Leveraging some pretty sophisticated projection technologies, imagineers turn Cinderella’s Castle into the movie screen and project popular movie scenes onto it. Combined with the songs your kids know and love, it’s a great way to prepare for the fireworks and has something for everyone. You can see fireworks anywhere, but this is something uniquely Disney. So hopefully these Disney World tips help you get more out of your vacation and I’m working on upcoming posts about how to make your visit even more magical, whether it makes sense to say on or off property, and more. If you have a Disney question, I’m happy to help. Feel free to shoot me your question on Twitter (I’m @jonmkee) or via email (jonmkee at gmail dot com). Have a magical day! I’ve been a member of the workforce for twelve years and have had the privilege of working with some pretty amazing people. And while my role has changed over the years and I’ve even changed companies, there have always been constants in my professional life – good people, good technology, and a good work/life balance. But I’ve realized something very important, and that is that when it’s time for a change, it’s time for a change. Whether that change is being driven by technology problems, personnel changes, or any of the other factors that cause you to be less than satisfied, when it’s time, it’s time. And it’s normal to be afraid. Everyone fears change. The idea that you’re essentially throwing away everything you’ve invested to start anew is a scary proposition, especially when it’s coupled with the notion that the grass isn’t always greener, that perhaps you’ll find yourself in a similar (or worse!) situation in the not too distant future if it doesn’t work out. But, we can no longer settle for second best. Just “getting by” means getting beat, and that costs people their jobs. You need to have the power to do whatever you need to do to be successful and as famous entrepreneur Daymond John once said, "the secret to power is being decisive," so being afraid won't get you anywhere. If you’re relying on an old, out of date technology to support your web initiatives, you’re making it easier for your competitors and harder for your customers. As a marketer, the pressure you’re under is exponentially higher than it was even three or four years ago and because of that, you need a technology that affords you the opportunity to get the best of the best across all of your digital channels. But most importantly, you need a partner. You need someone that will take the scary aspects of this change away. And that’s where I come in. I'm here to help you say goodbye to your old web content management system and hello to Ektron. I’ll help you unlock the potential that your digital strategy holds to provide a measurable, noticeable ROI. And I’ll build a relationship with you so that if you ever experience tough times, you’ve got someone to turn to. If you’re thinking about upgrading your web content management system, now is the time. It's time to seize the opportunity to replace an outdated technology with a better product and keep your business moving forward. It's time to say goodbye because only then, will you have the power. As a thought leader in the space, Ektron prides itself on being able to offer our customers the latest technology when they need it. A few years ago it was support for the mobile initiatives, today I believe it's delivery global content in a localized fashion. Should Every Employee Think Like A Sales Person? I was 22 when I started my first full time job. I was right out of college and eager to make my mark on the world. My father, who had a very successful business career, has always been my mentor personally and professionally, so I wanted nothing more than to impress him, and help him see that all of his (and my mother’s) hard work in raising me was going to pay off. And so like every other like-minded person, I was the first person in the office every day and many times, was the last person out. I was making ok money for someone my age and knew that because we were a small company and I was the lone sales and marketing person, there were a lot of people depending on me to keep the lights on. The place wasn’t going under if I sucked, but we certainly weren’t going to grow very fast if that was the case. It took me a little while to get going, but once I did, we started winning a lot. We won so much, that we had to move into larger spaces (twice) and grew the company more than 500% personnel wise. But it wasn’t until I was a couple of years in that I realized the most important, career changing concept that altered my work behavior forever. It’s not how long you work, it’s how effective you are when you’re there. Yes, it’s very cliché and I know I’m not the first person to share this thought, but it was a big, light bulb moment for me, so I’ll take it a step further. I believe that every employee should think like a sales person. Here’s what I mean. Sales people are compensated in a very clear and precise manner. Sell this much, earn this much, rinse and repeat. And great sales people generally become sales managers and know that whether you work 40 hours a week or 60 hours a week, as long as you’re hitting your numbers, you’re good. To the web developer, complete projects X, Y and Z. Just focus on these three projects. To the marketing executive, your target for the month is to drive X number of leads and get this number of attendees to the event. To the customer support engineer, your target is to close X number of cases each month. And so on. It seems simple, but so many businesses don't really have direct targets in place (or don't tell the employees about them) to help provide this kind of direction. The point I’m trying to make isn’t that we should set minimums for every role in the company, it’s clear we have enough people trying to get by with doing the minimum. My point is that we should set more clearly defined goals for everyone in the company because so many people wander through their career feeling that as long as they’re busy, they’re doing their job. Unfortunately, that’s not how it works; when I realized that busy doesn’t equal productive, I became a much stronger member of the team. For the next three months, I want you to try something. Set clear goals for yourself and really focus on them. Don’t get bogged down by all the other side BS, just focus on your goals, like a salesperson focuses on the deals they’re working that quarter. I promise you, you’ll be more productive, the results will be better, and you’ll be home for dinner much more often. This Saturday, my family is heading down to the happiest place on earth, otherwise known as Walt Disney World. We, like many others (including just about any family with young children) love it there. But it's not because of the warm weather (you can go lots of places for that) or the rides (Six Flags is 30 minutes from here), to me, it's the way people are when they're there that makes this place so special. As a child, I had the privilege of visiting on several occasions. My parents purchased a timeshare (that I think they still regret today) that forced us to go there every few years. I have nothing but fond memories, but having been there now a few times as a parent, I realize that it's far from a vacation when you're chasing little ones around in crowded spaces day after day. But, what I do remember from my childhood is riding all the same rides that are still there (Space Mountain, Pirates, Haunted Mansion, etc.). While these rides have undergone some modernization, they're practically identical to how I remember them. And sitting down in the seat instantly brings back memories of sitting in those same seats with my parents and siblings (I can still picture my brother Chris reciting the "hold on to your hats and glasses" disclaimer before Big Thunder Mountain starts, over and over again). It's nostalgia for sure, but it's something more than that -- it's consistency. We all strive to be consistent, yet few truly achieve it. Disney excels at it. But it's not the rides that make this place special. Maybe it's the characters? 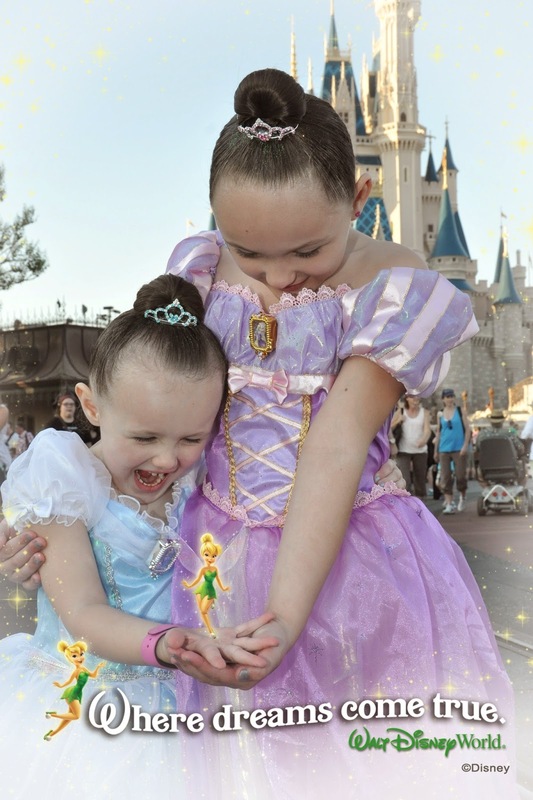 Watching your child's eyes light up when Mickey Mouse is 20 feet away, or when Cinderella dances with the prince right before your eyes, or Tinkerbell flies through the sky -- it's difficult to describe. It's like watching the storybook come alive and to a young child, there might not be anything better. But I don't think that's it either. But, in the two previous trips that we've taken our kids down to Disney World, I can only think of one time where we had an incident. One. Over almost two weeks time. Fourteen hour days (many without naps). With two kids under the age of 5. That's fairly impressive. And in fact, I can think of dozens of instances where they were better to and with each other, helping each other, and playing with each other. It's like they put being siblings on hold for those few days. It's amazing what a Mouse can do. My point is that while we enjoy the weather, the rides, and the kids being able to see the characters, what I enjoy the most is the atmosphere. It's a world within our world, where what's happening outside the 30,080 acres of Disney-owned property simply doesn't matter. It's not that it doesn't matter, but that it doesn't impact what's happening inside the parks. The "cast members" that work there make you feel at home and welcome, you're not (really) worried about someone stealing your stuff, and generally, people are all in a great mood. It's like it brings out the best in who we are as humans, something that I hope we all bring home with us. I know that there are Disney-haters out there, that can't stand how commercialized it is, that are frustrated that there are full aisles of toys at Target with nothing but Disney toys and clothes, and I get that. But, within the confines of the Disney properties, I'd challenge anyone to find me a better place to show your kids what's possible in life if they believe. 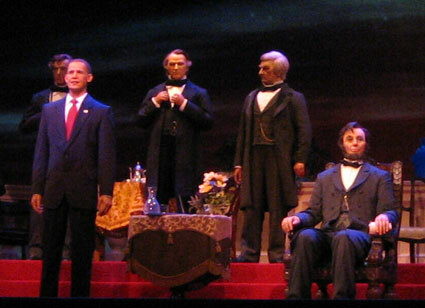 I love Disney World because it shows us what we're all capable of being -- kind, generous, courteous, polite. I know that I strive to be all those things and I hope my kids pick up on that, because it's one thing to tell them to act like a princess, it's another thing for them to see it for themselves. Seeing is believing, and I love what I see when we vacation there. We're all as humans just better people when we're there, and that's why I'll take my kids there every chance I get.